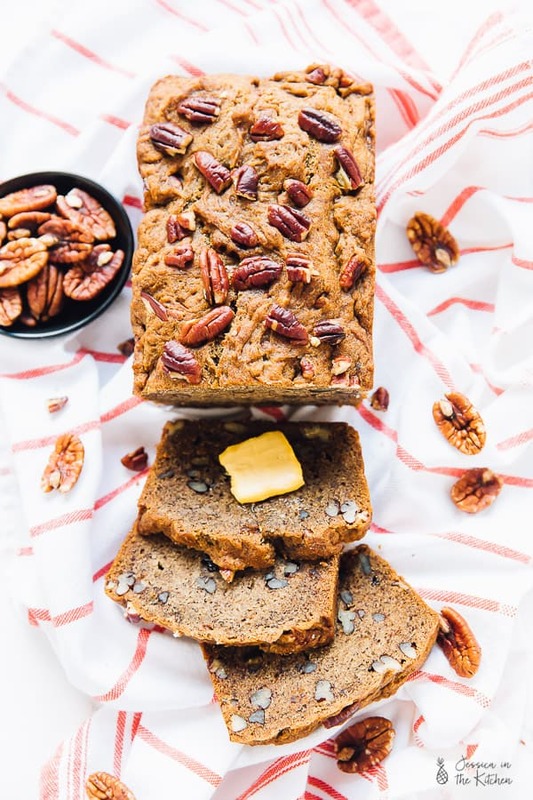 This moist and delectable banana bread is loaded with nutty pecans for a flavour boost! It’s so good that you can’t have just one slice! 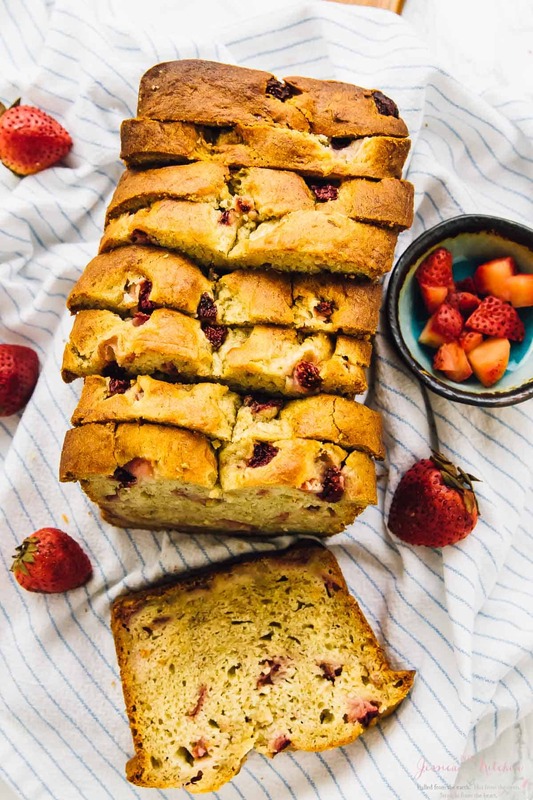 Isn’t banana bread the best? 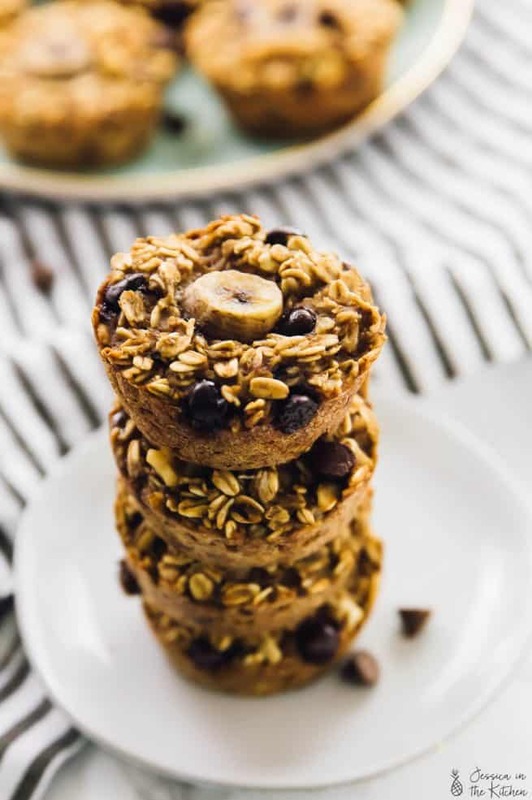 The overripe bananas, the sweet smell wafting through your home. The ease of making and slicing. I mean, you mix all the ingredients together, pour into a pan, smooth and bake. Couldn’t get easier. My family is the biggest fan and I really wanted to make a holiday version that took it up a notch. As you can see by the photos, I went with a Pecan Banana Bread. The pecans really add a literal nutty boost, and a delicious slight bite to each slice. I love that although they make such a delicious difference, they’re as easy as just adding into the batter. You could even add chocolate chips here too, or a generous swirl of pecan butter (YUM). As you guys might have realised, I have a lot of pecan recipes! 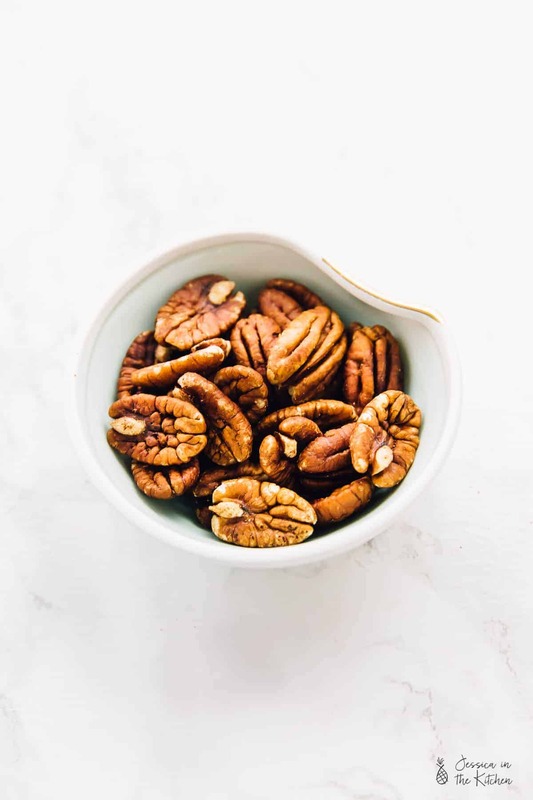 I’m really excited to be partnering with American Pecans for this post to share with you guys the benefits, versatility and straight up, the wonders of this gorgeous nut, which is actually the only major tree nut native to America. Personally, I just love that they taste amazing raw, toasted or baked. Like, I can snack on them either way, and definitely in beautiful banana bread. One of the really interesting things that I’ve learned while partnering with American Pecans is that every time you enjoy pecans, you’re actually supporting thousands of American farmers. You know I’m all about supporting local, so this fact really touched my heart. Because of this, they’re hosting the first-ever Pecan-A-Thon. It’s an entertaining variety show to celebrate the versatility of pecans, starring actress and comedian Wendi McClendon Covey. The show goes live on November 20th on their website so be sure to check it out! I’ll of course be sharing it on my IG and FB page so you guys know as soon as it goes live. 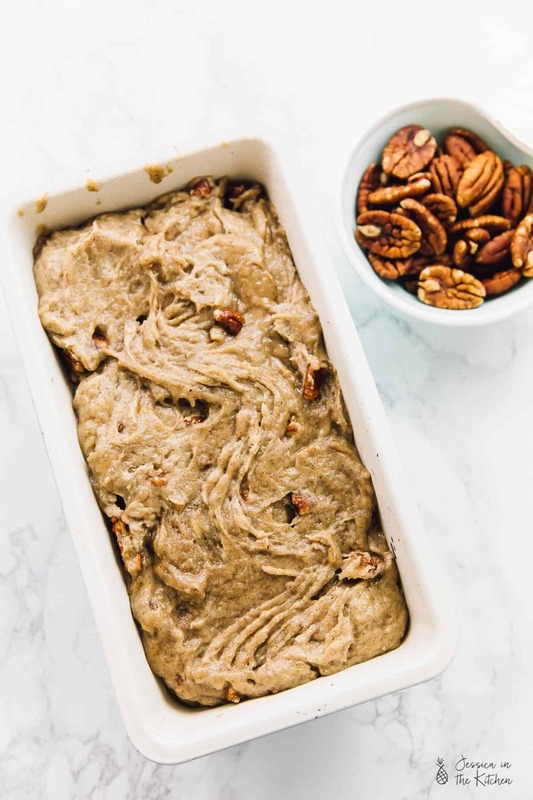 They also have a really cool hashtag #PledgePecans which is basically a fun promise to add one pecan-friendly recipe other than pecan pie to your holiday table in an effort to support local pecan growers and their families. LOVE this – since it not only helps, but ends up making for a super tasting holiday table too. 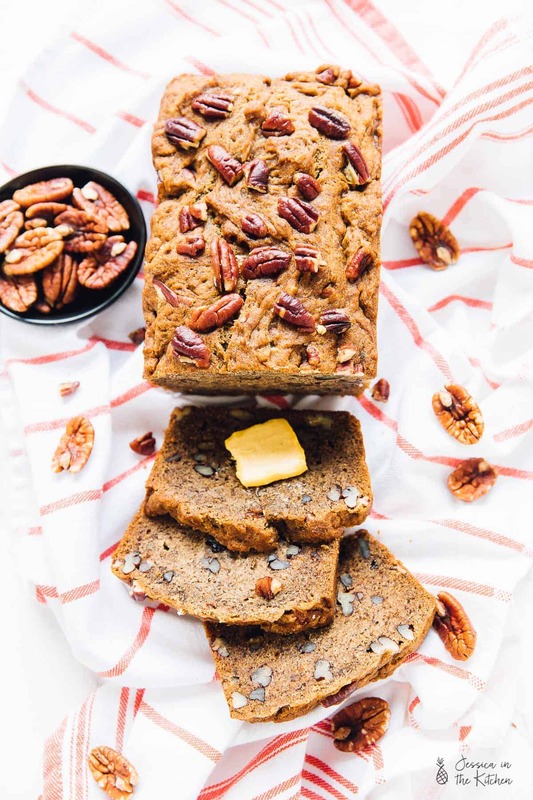 So of course making these divine Pecan Banana Bread means that you’re taking part in that pledge. Win, win friends. 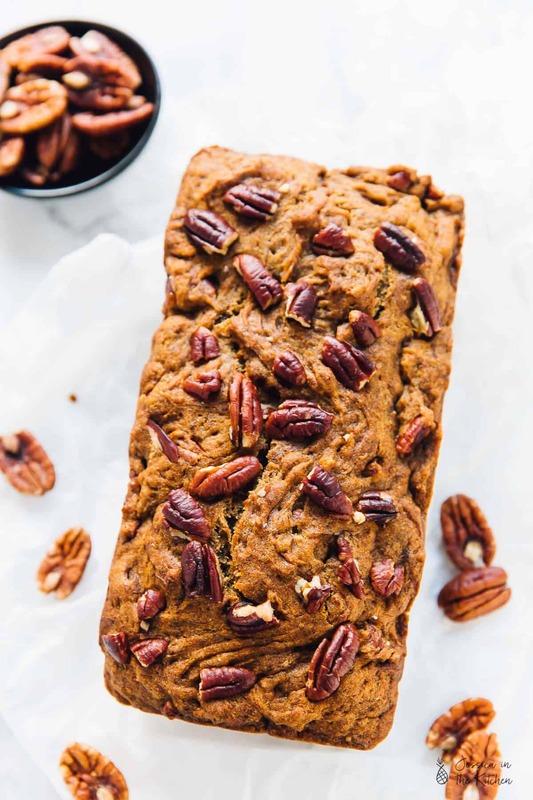 Of course I kept this Pecan Banana Bread gluten free, but you would never know because of the beautiful blending of ingredients. Make sure that your banana is super ripe, like black skin. I prefer to not use frozen to thawed bananas since they are so watery, but if you just pat the excess liquid with a some kitchen towels. 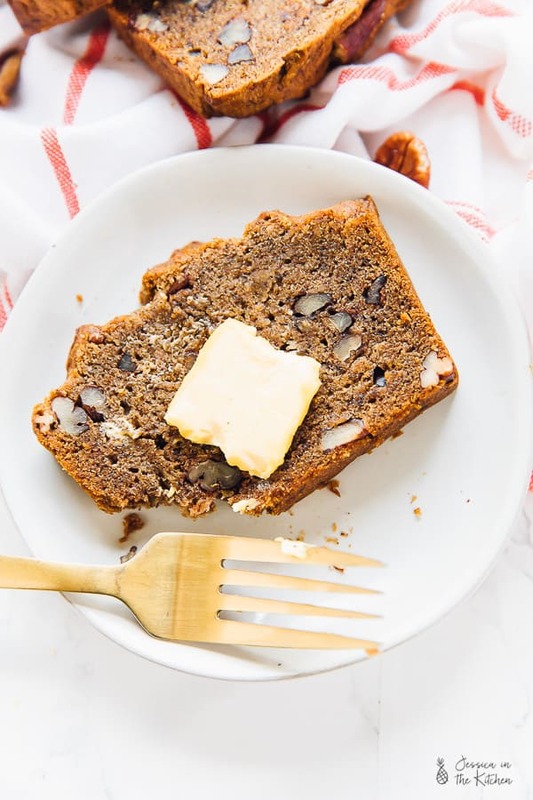 I hope you enjoy this Pecan Banana bread friends and that it makes it to your holiday tables (in one piece)! P.S. I’m coming out with ANOTHER recipe tomorrow with American Pecans, so look out for that! Hint: it’s cookies! Preheat the oven to 350 degrees F. Flour and butter/prepare your 9 x 5 banana bread pan. Set aside. In a medium sized bowl, sift the gluten free flour mix, baking powder, baking soda and sea salt and whisk to combine. In a mixer attachment bowl, add the flax eggs/egg replacer, sugar and coconut oil. Mix together for about 2 minutes on medium-low speed. Scrape the vanilla bean or pour the extract and add to the mixture. 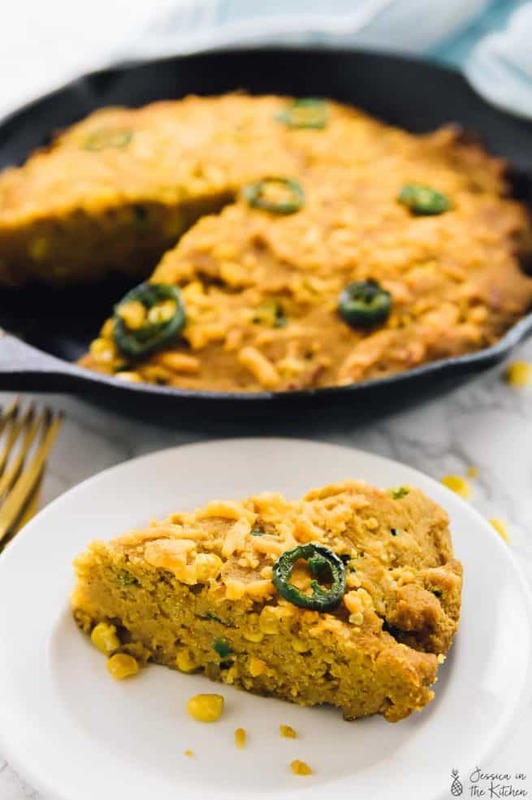 Add the vegan yogurt and the mashed bananas and mix everything together for 2 more minutes on medium low speed, scraping down the sides and bottom to ensure everything is combined. Add in ½ of the dry ingredients mixture, combine for 30 seconds, and then add in the rest of the dry ingredients mixture. Mix again for another 30 seconds, ensuring everything is combined. Remove bowl from mixer and fold in the raw pecan pieces into the batter until evenly distributed. The batter should be thick. Add the batter to the banana bread pan and use your spatula to smooth down the top. Sprinkle some pecan pieces on top. Bake the banana bread on the top shelf of your oven for 60 minutes, until a toothpick comes out with a few crumbs. You don't want it to come out clean, so watch your banana bread from about 50 minutes depending on your oven. Remove from oven and allow to cool for 10 minutes in pan. Transfer the bread to a wire rack by placing the wire rack on top of the bread, then holding the sides of the pan and flipping it over and removing the pan. Hold the sides of the bread to turn right side up. You can also turn the pan over into your hand, and then flip right side up and place on a wire rack. Allow the bread to cool completely. Slice as desired. Enjoy! If you can’t find vegan yogurt, you can use thick cold coconut cream instead.